Keith Olbermann brilliantly eulogizes and honors 'Stay The Course'. I hear that Keith Olbermann's ratings are up at MSNBC and Bill O'Reilly's ratings at Fox News is sliding down. 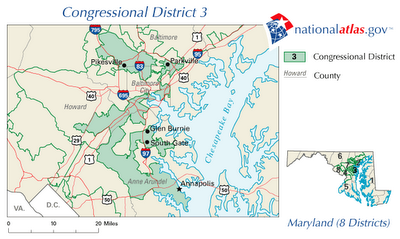 Below is the map of the Maryland Congressional District 3. Benjamin Cardin is the congressman of this district currently and he has been getting elected in this district for last 10 elections. Redistricting is gone wild here. Can your district beat this? Click on the map to see the large image. This district is in the suburbs of Baltimore City. Here are the current House of Representatives from the state of Maryland. There are total 8 congressional districts in Maryland; Of these 8 districts, 6 have democratic representatives and 2 are republicans. How to do System Restore in Windows XP? A wizard will open and it will guide you through the system restore process. This of course will only work if you have system restore setting turned on in the System Properties. I know that the one month does not make a trend but as you can see from the chart below where the jobs will be in the future. The chart shows that the nursing and residential care facilities lost workers last month. 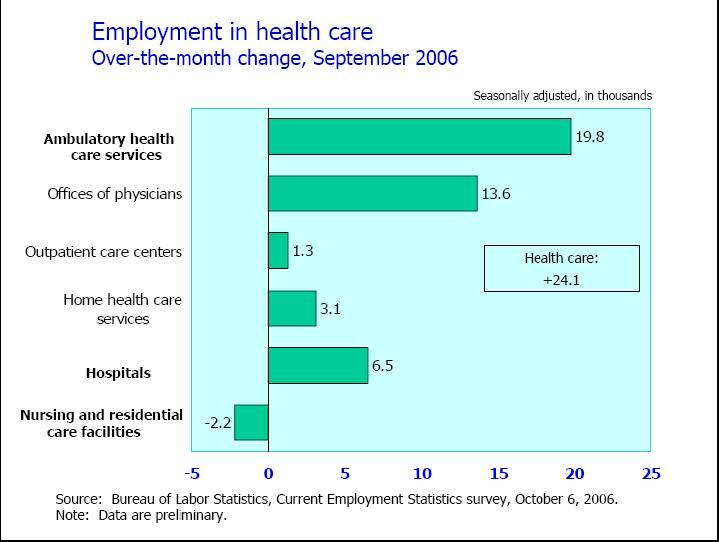 Nurse shortage will be huge problem when baby-boomers start to retire. I guess now is a good time to enroll in a nursing school. Below is the list of top 10 selling vehicles in United States in September 2006. Interesting to note here is that 2 Toyota cars have overtaken the Honda Accord. Both Camry and Corolla are outselling the flagship Honda Sedan. Nissan Altima has gained popularity also and the sales numbers of Altima are quickly approaching that of Ford Taurus and Chevrolet Impala. Where is Hindi station on XM or Sirius?